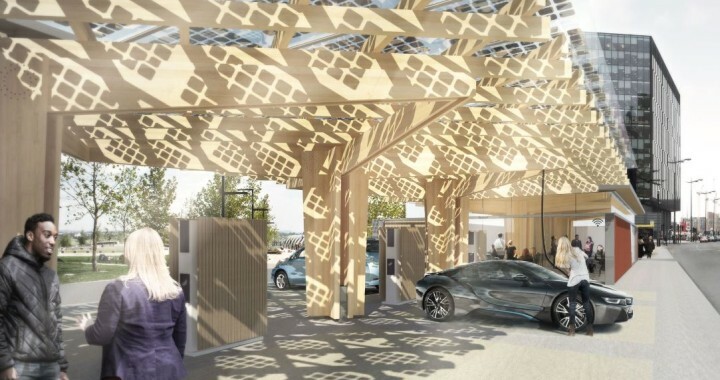 Local architects Hewitt Studios are developing a sustainable EV charging with integrated cafe/education space called ‘K:Port’, which is designed to provide offer EV charging under an aesthetically pleasing canopy which incorporates solar PV and rain water harvesting. It is the first project for Sustainable Technology Business Acceleration Hub run by Bath University. More information is available on Hewitt Studio’s website here and here.